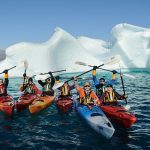 Antarctica voyages are topping a lot of bucket lists lately, and for good reason: Every year they grow more accessible, offering lucky passengers a rare glimpse of Earth’s coldest continent. And as the Antarctic season begins, Oceanwide Expeditions is hitting the ground running. This year Oceanwide is offering an exciting variety of Antarctic and sub-Antarctic voyages aboard its two chief vessels, both of which have undergone recent updates. Our earliest cruises begin this month and focus on exotic destinations like the Falkland Islands, South Georgia, and the Antarctic Peninsula. These stunningly scenic voyage emphasize maximum contact with the terrain, cultural hotspots, and especially the wildlife of these fascinating areas, acquainting passengers with an abundance of seabirds and penguins. But the adventures don’t end there. 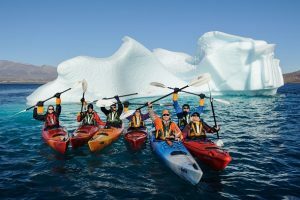 Oceanwide also offers several activity-oriented cruises, such as our Basecamp trips, fully immersing passengers in the polar world with exhilarating outdoor activities like kayaking, mountaineering, hiking, snowshoeing, camping, and even scuba diving. And for those who want a truly wide-open experience, Oceanwide provides cruises to the Weddell Sea (and in 2020, also the Ross Sea), during which passengers can embark on helicopter tours that may enable visits to penguin colonies otherwise inaccessible. Oceanwide has recently updated the ships used for these voyages: In spring the bar and observation lounge of Plancius was renovated, and in summer parts of the Ortelius galley were refurbished. Not only that, but in 2019 a new ship will join the fierce Oceanwide fleet. Hondius, the world’s first-registered Polar Class 6 vessel, will be one of the most advanced polar tourism ships on the seas, offering all new adventures in the Arctic and Antarctica.